Named one of the BEST Sonoma Wineries to visit this summer. Tasting room is in Alexander Valley just 10 min from downtown Healdsburg. Tasting fee is waived with Club Membership or $40 wine purchase. A $45 per person Barrel Room/Reserve tasting option can also be booked. For $45 you can also take a vineyard tour of the Hawkes estate vineyard. I personally love the adorable and shaded garden patio. The Hawkes family has been growing Bordeaux variety grapes in Alexander Valley since 1972. 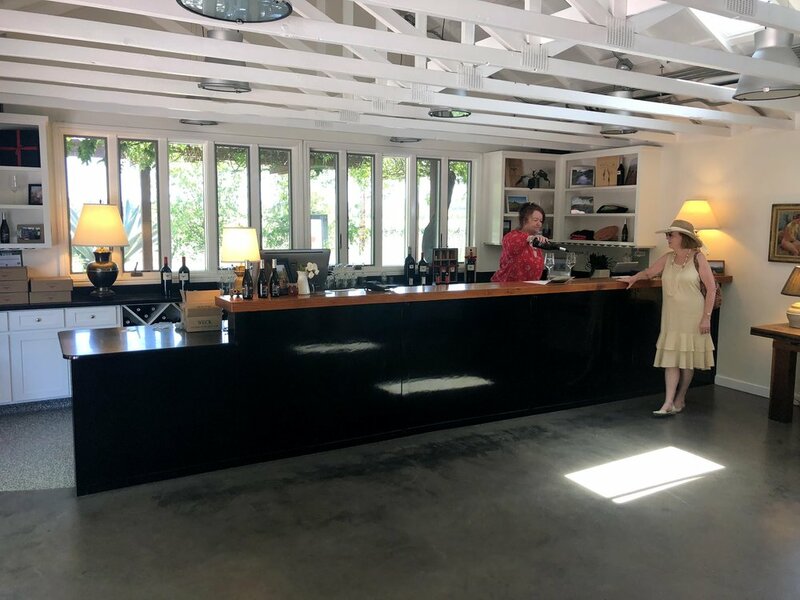 Hawkes has TWO tasting rooms. I frequent the one in Alexander Valley but there is also one in downtown Sonoma too! Located right behind one of my favorite restaurants, The Girl And The Fig. Capone is the winery dog. Some call him more of a cat than a dog. Sleeping wherever he can find sun in the tasting room. Capone exemplifies how to live your best wine country life. Every year in Spring I MUST visit Hawkes. 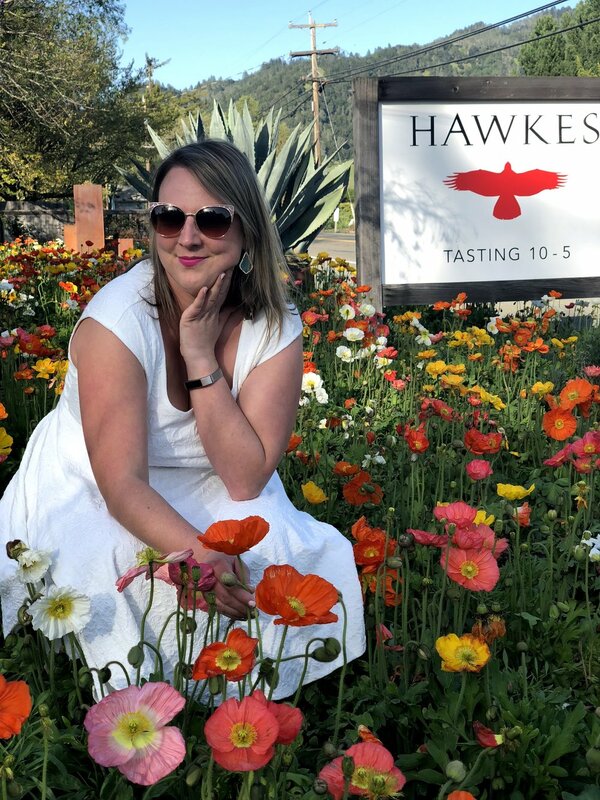 I would say that Hawkes is right up there with the TOP, most beautiful, and Instagram worthy winery flowers in all of Sonoma County. This spectacularly colorful garden is planted right by the tasting room sign. There is a massive prehistoric looking succulent. Bright purple wysteria hangs from the covered patio. Hawkes is next door to my FAVORITE local general store/deli spot. Lots of wine tasting groups stop here to get some munchies. Plan your wine tasting day to stop at Jimtown. Get the Bahn-Mi sandwich if it happens to be on the menu that day. Also, the fresh chips and salsa is another fav. Oh, and the bread pudding. AMAZING! Pick up some picnic food and then walk over to Hawkes for wine tasting. I also recommend following their Facebook Page. My friends and I LOVE going to Summer Nights at Hawkes. Once a month on Saturdays, a live band plays free music on the Hawkes patio. Food and wine is for sale. I hope they do this event again this year!